Euthanasia Prevention Coalition Euthanasia Prevention Coalition: Dutch prosecutor investigating assisted suicide group after 19-year-old dies. Dutch prosecutor investigating assisted suicide group after 19-year-old dies. The Netherlands public prosecutor has opened an investigation into an assisted suicide group that is counseling and providing a "suicide powder." Final Wish made headlines last week when the father of 19-year-old Ximena Knol said on television the group should be shut down after his daughter’s suicide using a powder believed to be the same “Substance X” the association promotes. 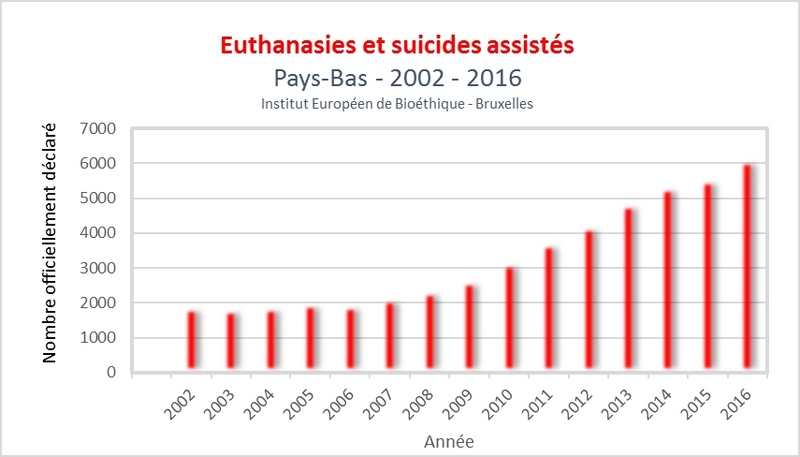 Recently the public prosecutor in the Netherlands announced that they are investigating abuse of the euthanasia law in 4 assisted deaths in 2017. According to the recently released 2017 euthanasia report, there were 6585 assisted deaths were reported in 2017, up another 8% from 6091 reported assisted deaths in 2016. 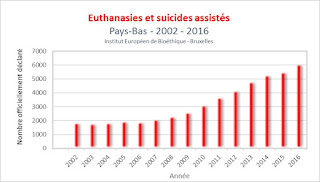 The DutchNL news also reported that the number of assisted deaths for dementia or psychiatric reasons increased in 2017 to 169 people dying by euthanasia for dementia (3 were advanced dementia) and 83 people dying by euthanasia for psychiatric reasons. The New England Journal of Medicine (NEJM) (August 3, 2017) published a major Netherlands study titled: End-of-Life Decisions in the Netherlands over 25 years that uncovers abuse of the law that examined ending of life in the Netherlands. The study found that there were 7254 assisted deaths (6672 euthanasia deaths, 150 assisted suicide deaths, 431 terminations of life without request) in the Netherlands in 2015. Based on the data in the study 23% of all assisted deaths were not reported and 431 assisted deaths were done without request. The death lobby is out-of-control in the Netherlands. Don't make the Netherlands mistake. Don't legalize euthanasia. Too late for Canada. Our story will look like Hollands becore long. "termination of life without request"? Evil Orwellian double-speak for murder.